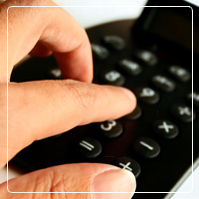 AiNDEE offers a pricing structure designed to cut your overall costs and increase your sales. In other words, for approximately the cost of one human employee, AiNDEE can replace the work done by 10 to 20 of your first tier call center staff while providing a more accurate and fun experience to your prospects and clients. We guarantee it ! Your platform license is a standard monthly service agreement for the technology subscription with a one time activation fee based upon the scope of the project. A typical platform license includes up to 1 million D.I. 's (see below) per month. This is the equivalent of approximately 100,000 average conversations per month. Further the standard license typically includes a 100 topic training package which we perform for you. "Dialogue Iteration" or D.I. is a single answer instance in a conversation that AiNDEE makes. Whenever AiNDEE speaks she processes the answer into text, animation, and audio, all streamed together to your client, counting as one D.I. Simply put, Dialogue Iterations are the number of times your implementation speaks. Your platform license includes up to 1 million D.I. 's per month. This is the equivalent of approximately 100,000 average conversations per month. Additional D.I. 's are billed on a per D.I. basis. Topic Training or TT's are the number of answers your implementation possesses. This is very different from how many questions she understands and is able to answer. Imagine that each of your answers sits below an Artificial Intelligence "funnel" that dynamically maps all appropriate questions to the correct answer. Your platform license includes up to 100 T.T.'s. 100 TT's represent a knowledge scope of knowing how to answer 100 billion questions on 100 different topics. Additional T.T. training is available at a set price for each and are a one time fee. AiNDEE's unique usage-based pricing structure permits your costs to shrink as seasonal traffic dies down. Conversely, if a marketing campaign or new product brings more traffic to your web site than expected your implementation expands accordingly. Additional pricing variations which are billed based upon time and materials include custom implementations which securely converse about and access products or customer data. In cases like these we may implement a operational mirrored database which contains only the information your organization wishes to exist outside your corporate firewall. Further we do consider performance based implementations in which we may revenue share with clients based upon a percentage of the revenue generated as a result of AiNDEE's sales ability in your situation.